There are quite few things that a man cannot do without. Water is one of them. 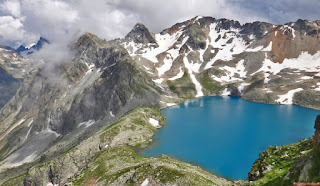 Fortunately for us, mother nature has been very kind and generous - creating springing water bodies even in the driest and rockiest regions of the earth. However, our great mother has not been so benevolent in her generosity because some of these water bodies even as they done our horizons turned out to be curses to humanity- with some going to the length of becoming outright deathtraps. Indiscriminate behavior of humans itself have not been quite helpful in de-worsening the situation as they have single-handedly turned various harmless water bodies into black death zones. These zones are littered all over the planet. So today, we would be looking at the top most deadly waters in the world. Now, what river in its healthy condition has deep red waters. Yes, that’s the colour of the Rio Tinto, the first warning of its blatant deadliness. River Tinto a highly acidic river with a pH going as low as 1.7. Wells its curse is directly inked to its blessing- can you imagine? Its beds are so rich in heavy metals like gold, silver, and copper such that it has been the major source of finance for cities over the years. Now, due to years of intense and indiscriminate mining, pollution became inevitable. 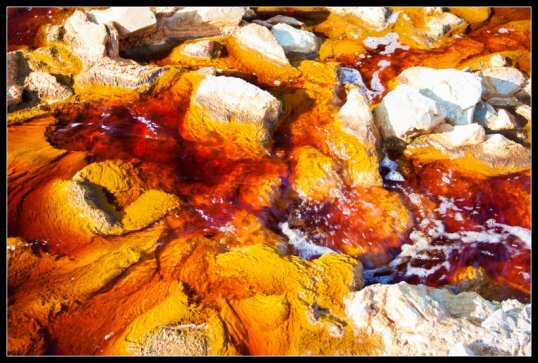 The river became a breeding environment fir chemolithotrophic organisms such as iron-oxidizing bacteria and sulfur-oxidizing bacteria. In short, It became a dead spring flowing. Located in the Morne Trois Pitons National Park, this Lake is actually the world's second largest hot spring and unarguably the hottest. The water temperature along its edges usually go as high as 82 to 92 degrees and the center's temperature is – ( well you can go and check that out for yourself, I am definitely not trying). Before you go, you will need to be armed with a useful information that the centre is always boiling!!! You can thank me later. If you did some basic geography,you must have heard of the Great Rift Valley that is slowly being pulled apart with accompanying terrific volcanic activity. 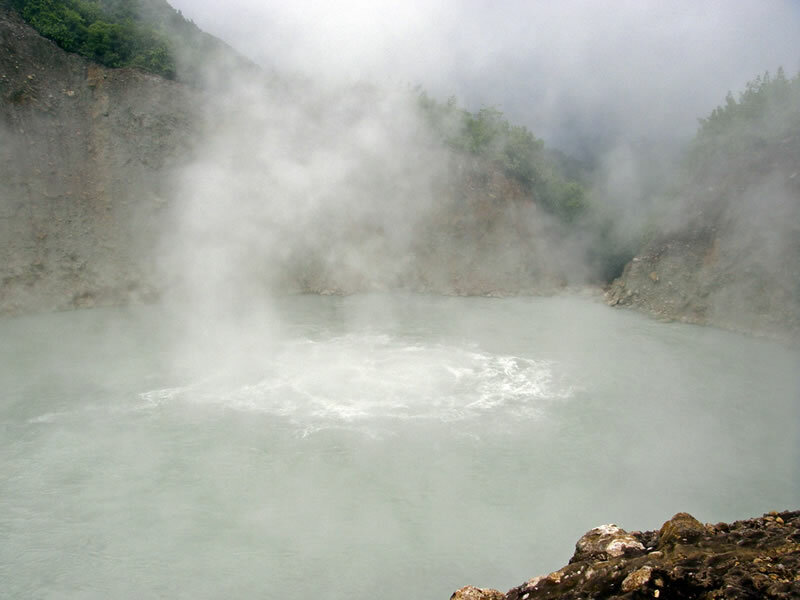 Well, It's mostly known for its maximum depth of 485 meters – and this! 250 cubic kilometers of carbon dioxide and 65 cubic kilometers of methane gas!!! What can be deadlier? Surprisingly, it does not lack swimmers – nor casualties. Believe it or not, that picture is very real. River Citarum is famous globally for one thing - garbage!. And all man-made. 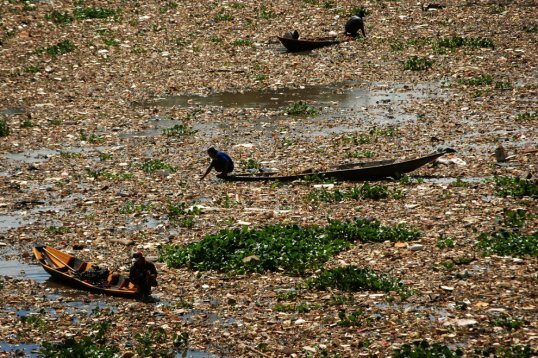 The place is so filled with non-biodegradable waste and harmful chemicals that it's known to be the world's most polluted river. 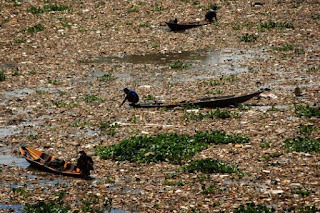 Sources range from the 200 textile factories lining the river bank that dyes and chemicals like arsenic and mercury into the river to the millions of residents who treat the river as a huge trash bin. Of course, no one's crazy enough would drink water from this dumpsite. Even Mad Max. Lake Karachay is a small lake in the southern Ural mountains, Russia. Since 1951 the Soviet Union used Karachay as a dumping site for radioactive waste from Mayak - one of Russias largest nuclear facility. It is one of the most polluted spot on Earth accumulating about 4.5 exabecquerels (EBq) of radioactivity over less than 1 square mile of water! Try taking a bath in indian pepper. 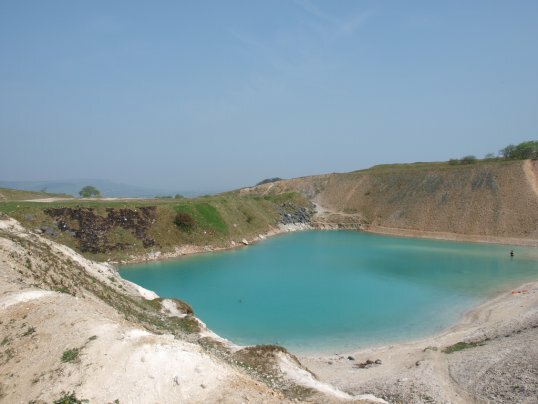 The sediment of the lake is composed almost entirely of high level radioactive waste to a depth of roughly 11 feet and is sufficient to give a lethal dose to a human within 1 hour. Radiation from the Chernobyl disaster alone released from 5 to 12 EBq of radioactivity over thousands of square miles to aggravate the pollution of the lake. Originally an abandoned quarry in Harpur Hill called Far Hill Quarry, It got flooded and became "The Blue Lagoon" due to its striking blue tint. A very beautiful death-gate. First, the water is highly toxic with a pH level of 11.3 which is highly alkaline and can cause fungal infections such as skin and stomach problems. The lagoon also contains rubbish like dead animals, excrement and automobile waste. 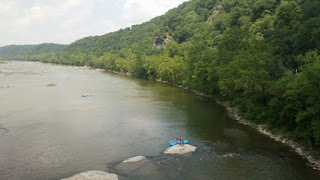 The gorge surprisingly is a popular site for outdoor activities like kayaking, boating, fishing, and hiking enthusiasts irrespective of its deadly nature. Out of frustration, local authorities had to dye the whole lagoon black to press home the seriousness of its health threat. Well, that effort did not work. Who said there is no fun in horror? Even though most people know the Potomac as the river on which Washington, DC is situated on, the legendary river can also be associated with something less legendary: horrible deaths. The area between Great Falls and Chain Bridge is characterized by series of rapids and waterfalls that can send their victims spiraling downward for almost an entire length of 1.5 kilometers. If that’s not enough, the river’s strongest currents are actually underwater, so if you mistakenly fall in, well – sorry is the name. At least, six people die each year at the Potomac, and many more risk their lives simply by playing near or around it. There is even a large poster at the bank saying “If you enter the river, you will die” Can a red light be less glaring? But if it was that easy, folks would have stopped smoking a century ago. Situated in the Mammoth Mountain lava dome complex in Mono County, California. Massive eruptions happened here every 5000 years and so was considered harmless (at least till the next thousand of years) until 20 years ago when the trees around the lake miraculously started to shrivel and die. After months of thorough analysis, perplexed scientists finally concluded the trees were choking on excessive levels of carbon dioxide seeping up from subterranean chambers. In 2006, three people who took shelter in a nearby cave died from the high volume of carbon dioxide. Who said that there was less than a million ways to die in the west. 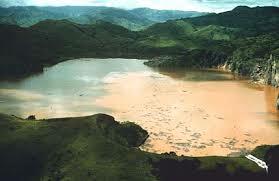 Lake Nyos is a crater lake in the Northwest Region of Cameroon. 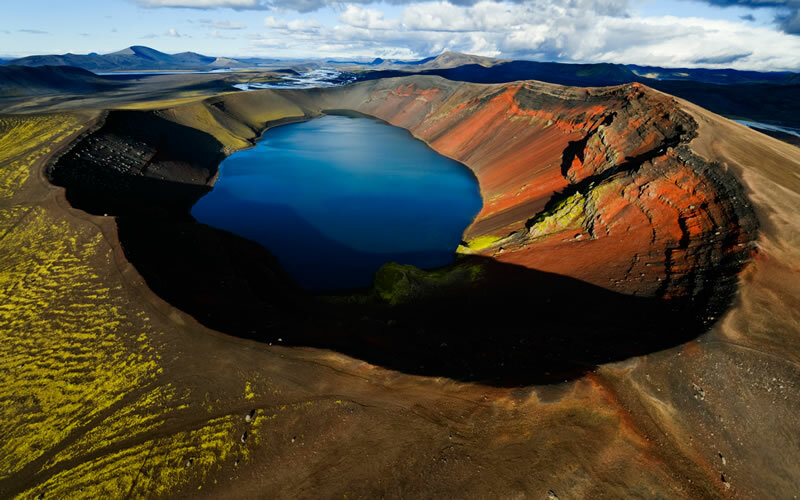 The lake is very deep with high flank sides of an inactive volcano. Pocket of magma lies beneath the lake and leaks carbon dioxide into the water, changing it into carbonic acid turning it into a geographic death trap. On August 21, 1986 as the result of a landslide the Lake emitted an immense cloud of CO2 suffocating 1,700 people and 3,500 livestock. The water is so deadly that even the ravaging Boko Haram terrorist group are feared less than this water body by the locals.